I have to say I have never been all that big on Celtic or British Isles folk-rock in general (I do enjoy a few FAIRPORT CONVENTION and STEELEYE SPAN albums, and of course I have little problem with JETHRO TULL's stab at the style, even though theirs were always originals), but this Irish band did a good job at merging Celtic styles with rock. "Book of Invasions" is generally regarded as their best album, but since I hadn't heard everything from them, I can't say. The band consisted of Charles O'Connor on fiddle, mandolin, and concertina, Jim Lockhart on keyboards, flute and whistles, Berry Devlin on bass, John Fean on guitar, and Eamon Carr on drums. All, aside from Lockhart and Carr are credited to vocal duties. "Book of Invasions" is divided in to three movements, but not in the typical prog rock fashion, as these still sound like short, separate songs. This is a concept album of "The Book of Invasions" (Leabhar Gabhála Éireann) regarding Irish legends regarding pre-Christian Pagan days, if I'm not mistakened. The album opens up with "Daybreak", a simply, folk-influenced melody played on guitar. 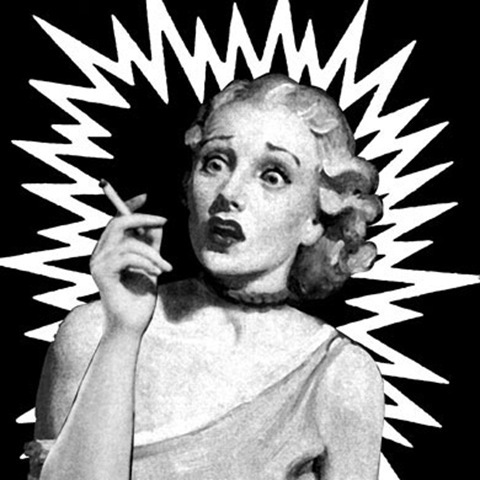 "Trouble (With a Capital T)" is a nice, JETHRO TULL-like number. It's pretty obvious that Jim Lockhart's flute played was inspired by Ian ANDERSON. "The Power and the Glory" is a more rock-oriented number, while "The Rocks Remain" is a more gentle number that reminds me a bit of the Byrds (especially the vocal harmonies). "Sword of Light" is another great number fusing Celtic with rock. I hear them use "Toss the Feathers" (one of the jigs FAIRPORT CONVENTION used on their album "Liege & Lief") within this song. "Warm Sweet Breath of Love", for some reason or another, reminds me of Gerry Rafferty (whoever is singing that song, reminds me of him). "Fantasia (My Lagan Love)" is another instrumental, dominated by guitar. I thought "Sideways to the Sun" was rather boring, but the last cut, the Tull-like "Ride to Hell" is amazing! I would rate this album higher if I was big on Celtic and British Isles folk music (which I'm not), but as it goes, this is a nice album to have, and highly recommended to those who enjoy Celtic rock. Excellent stuff and when you give it a spin first time round replay it another time. This is arguably Horslip's best piece of work and a perfect concept album as well. There is a depth of sound here unlike their other offerings. By that I do not infer their other works are poor but just not as strong as Book Of Invasions. The album overall is excellent so I am not going go through each song. Highlights though are ' Dusk' and the whole of the 3rd movement.Irish prog roots for sure. Yet another album of Horslips in their typical Celtic Folk rock , very enjoyable but too borderline for inclusion on this site. If you are into Irish folklore, then this is a great album to get but if you are looking for folk prog it is relatively low on prog contents. Yes, some numbers are Tull-sounding especially with the use of the flute and this was probably no accident but if that similarity exist , it is not shamefull either . Arguably in favor of Horslips Tull's folkiest albums Songs From the Woods and Heavy Horses came at a later day than most of Horslips's output but Tull was Folk-rock before Horslips even existed . Possibly one of their more interesting work for a proghead because of the conceptual nature of the album (The Táin was also one). This album also comes with a totally black cover with white title. After the lacklustre Unfortunate Cup of Tea, the next album was going to be a watershed for Horslips. In the end, they returned broadly to the formula that had brought them so much acclaim for The Tain and produced a concept album based on Irish mythology and full of great songs based on Irish traditional tunes. And it works just as well as The Tain, having brought them enormous critical acclaim. If anything, they show their amazing musicianship off even more, with Charles O'Connor's fiddle and mandolin swopping riffs with Johnny Fean's scything lead guitar and Jim Lockhart's flute,whistle, pipes and keyboards. The vocals of bassist Barry Devlin and drumming of Eamonn Carr have improved beyond recognition from their first album. Fean also contributes some of the best rhythm guitar licks on any album. Sword of Light is another classic in the broad style of Dearg Doom and there are no fillers or low spots. The Rocks Remain is a beautiful song, Trouble with a Capital T and The Power and the Glory are powerful anthemic songs and the whole second side is simply magical. This is Celtic Rock at its best. It isn't really true prog rock: it's too traditional and actually far, far better than all but the very best in the prog rock field. 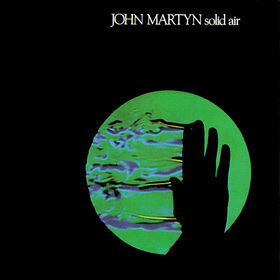 It is also one of only 3 concept albums which really work, along with their own The Tain and Camel's wonderful Snow Goose. If you haven't got this album, you really are missing out - big time. It really deserves 6 stars. Well, without a doubt this is the Horslips album I recommend to the uninitiated. it has to be an essential part of any prog folk collection. Trouble with a capital T, Sowrd of Light and The Power and the Glory are probably the three best known songs by the band. Popular traditional themes are woven into the folk-rock mix. And it works. Sometimes with folk-rock albums it just doesn't pass muster. Here the Horslips are on a roll. The album is polished and the mix works.Sideways to the Sun is a personla favourite, almost as if the Sluagh Sidhe had given up with the world and moved to another dimension. I still prefer the Tain but the invasions is nevertheless essential. 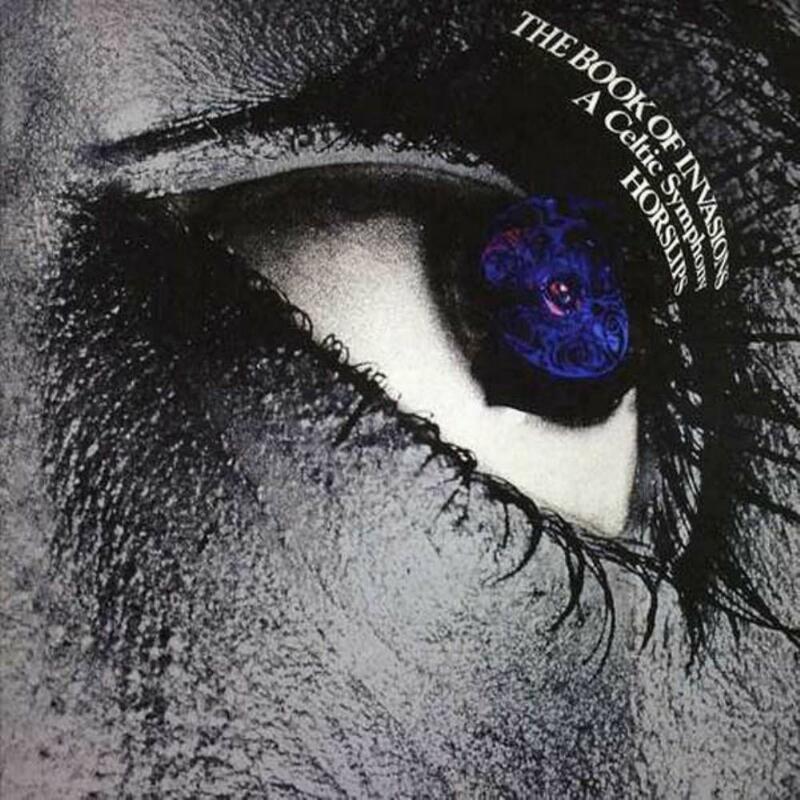 The book of invasions is Horslips' masterpiece, a concept album that is musically varied and cohesive from beginning to end. From the clarion call that opens "Daybreak" to the gently plucked notes that follow the stormy "Ride to Hell", this is celtic rock at its best. It could rightly claim to have influenced the next generation of rooted British Isles bands with attitude, like the Pogues, the Men they Couldn't Hang, Runrig, and Oysterband. While more rock folk than prog folk, this does not matter where a work of quality is concerned. As mentioned, the CD as a whole is excellent, but to pick favourites is easy too: "March into Trouble" and how it leads into the superb flute riff of "Trouble with a Capital T", that will stay with you all day; "The Power and the Glory" with its catchy organ figure and chorus; the Byrds-like "The Rocks Remain"; "King of Morning, Queen of Day" and its fine electric piano and harpsichord, not to mention another rousing chorus; and the wistful almost bluesy ballad "Sideways to the Sun" blending into the cracking rocker "Ride to Hell".. While reverent semi-traditional melodies abound, one key feature of the Horslips sound is how they really rocked, more than almost any folk oriented band of their era. At least in North America, even those familiar with the group often could not name a single band member. This reflected their team approach rather than any lack of distinctiveness. I recommend you allow this classic 70s album to invade your collection. With a now fairly large discography under their belt and only one album that was not overly well received, Horslips makes the march back into the studio and records this gem. The Book Of Invasions is a concept record based on Celtic folklore and is made up of 3 movements which are split into several shorter tracks. As with previous records the band maintains their Celtic rock sound, although on this album it's done in a much more accessible style. Fans of The Tain may be a little bit surprised with how 'commercial' the band sounds on this album, but after a couple of listens it's easy to see that the change in style was not a bad one. The first half of the album (the First Movement) is constructed very much in the same manner that previous albums have been done in. Instrumental introductions and interludes connect the movement into one continuous song cycle from Daybreak to Dark and uses recurring themes in the Celtic instrumentation like the flute and mandolin to keep the entire movement as a cohesive piece while allowing movement and transition time between individual songs. Among the first side of the album are some of the band's best songs, including the frantic Trouble With A Capitol T which feature's one of the band's most infectious flute riffs along with some highly impressive drum parts. Sword Of Light is another impressive piece, showing that the band knows just as well to use keyboards as any major progressive act in their day. Book ended by the emotional and grandiose instrumentals this is a very impressive piece that can send shivers down your spine at many moments. The rest of the album is really a sign of things to come, a transition if you will. The Second Movement on the album shows the band becoming more of a combination of Thin Lizzy and Jethro Tull with songs like Warm Sweet Breath Of Love that features some great and memorable riffs, even if there is a little bit less Celtic instrumental breaks. Luckily, there will be in the next song, Fantasia - My Lagen Love which is probably where all the Celticness of the first song had been hiding. This instrumental is just purely great, and showcases what the band does best, much like The Silver Spear from The Tain. King Of Morning, Queen Of Day ends the second movement with a bang and combines the styles of the previous two songs well, creating a short, accessible tune with Celtic backings that will no doubt get stuck in your head. The Third Movement is the shortest of the album, but one worth listening to even so. This is the conclusion to the album and also somewhat the most mellow thanks to the soothing Sideways To The Sun, which is probably the only slow point on the album. Luckily it finishes up with Ride To Hell which is a scorching rocker that ends things off nicely. Overall an incredibly well put together album that is well worth getting for anyone who fancies themselves a sucker for Celtic rock. In direct comparison to The Tain it all depends on person preference as to which is a better album. This one has a few less subtleties, but it makes up for it by being well rounded and incredibly well though out. 4.5 stars for a fantastic record. The Rock remains (but the warm sweet breath of love can sometimes be a bit too sweet)! My first exposure to Horslips was with The Tain. After having been very impressed with that album, my expectations for this one were very high indeed. The excellent two first tracks which is a kind of overture for the whole album, and the way they flow into the third track, raised these expectations even more. 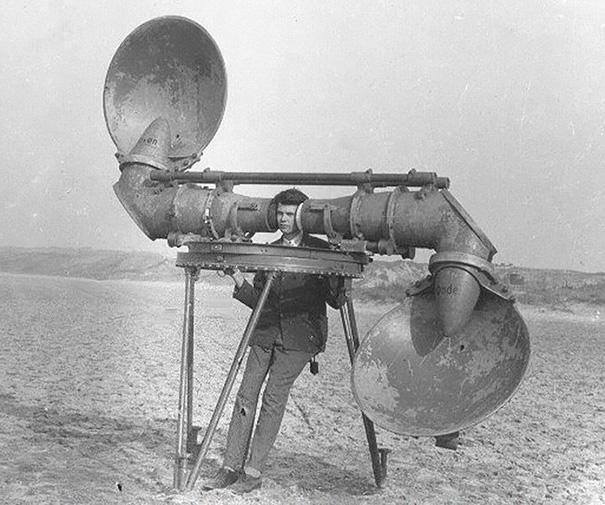 However, after such a highly captivating introduction, the rest of the album initially fell a bit flat on these ears. When the overly catchy choruses of some of the songs started to come into the picture, the initial disappointment was a fact. But judging this album on its own merits, independently of any previous expectations or comparisons with earlier albums, I must say that it is an excellent album after all and that my initial disappointment was unjustified. After many listens, this album has grown on me to the point that I no longer know which of the two albums I like the best! Compared to The Tain, Book Of Invasions is a bit more polished. This can be both a good and a bad thing for me. Book Of Invasions is better recorded and produced, which is a good thing. But it is at the same time also slightly more "commercial" in its approach. Some of the choruses are, as I said already, a bit too catchy. The Power And The Glory and Sword Of Light are examples of that. These songs thus lack the kind of substance that I would have required for this to be any kind of masterpiece. The Tain too had some all-too-catchy choruses, of course, but the "roughness" of that album gave it a harder edge and a bit more Rock attitude that is slightly lacking here. Despite the Hard Rock guitar sound on most songs, some of the material here comes off as slightly more lightweight compared to some older albums of the band, particularly the first two. But, on the other hand, Book Of Invasions flows wonderfully from start to finish. The instrumental interludes Dusk and Dark (that both repeat the theme from the opening two instrumental tracks) are really excellent pieces that give the whole album a sense of unity that is very appealing. The album's subtitle, "A Celtic Symphony", might be a bit deceptive, though, since the non-instrumental tracks are mostly rather straightforward and they have conventional verse-chorus-verse structures. The Rocks Remain and Warm Sweet Breath Of Love with their sweet melodies could easily have been Beatles songs, they would have fitted perfectly on Rubber Soul! King Of Morning, Queen Of Day, on the other hand, reminds me of the good British Pomp Prog band Magnum! This song would have fitted perfectly on their debut album Kingdom Of Madness and this is probable my favourite of the vocal tracks on this album. Fantasia - My Lagan Love is a good jig that brings diversity to the whole album. Some of the lyrics are a little bit silly, I'm afraid; "trouble with a capitol T"!? But, again, the same applies to The Tain ("... it seems like you bit of more than you can chew", for example). I was expecting Book Of Invasions to be as good or even better than The Tain but I was initially a bit disappointed. However, after having heard this many times over a long period of time, I have clearly come to see its beauty - it grows on you, so give it more than one chance. 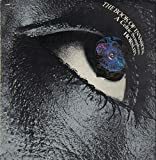 Horslips is a much underrated and very good band and Book Of Invasions is a great Horslips album with some truly excellent moments. I would recommend any Prog Folk fan to get this album, but it is not the only Horslips album you need! Though I call myself an ardent lover of Celtic rock, I find this album too much a part of its time. Only a few of the songs are progressive rock- most of this is Irish rock from the 1970s. The vocal melodies and chord progressions are uninteresting, but the instrumentation is quite lovely. "Daybreak" Inspiring harmonics introduce a pleasant electric-based song that is centered on a dual lead guitar harmony, followed by a flute and organ duet. "March into Trouble" The lively clavichord runs around the acoustic guitar before lively flute enters. "Trouble with a Capital "T" Vocals mimicking the flute similar to Camel's stunt on The Snow Goose ends abruptly when a singer bursts in sounding very much like John Wetton. Speaking of which, there's excellent bass playing. The main theme sounds like what my favorite Celtic rock band Seven Nations would do. "The Power and the Glory" Keyboards lead into a grungy rhythm. This is a simple rock and roll song with deceptive fiddle and synthesizer. "The Rocks Remain" Surprisingly, this sounds like Boston. It is more folky and has a slide guitar. "Dusk" Beginning with an electric guitar and organ reprise, this brief interlude has Celtic violin bursting in. "Sword of Light" Integrating elements that came before into something consistent, "Sword of Light" gives way to the Wetton-like vocals. This is a very lively track that is among the most progressive here. "Dark" The opening harmonics remind the listener of the opening track, but lead right into a full-bodied piece of music. The woodwind and organ are there close behind, followed by a more grandiose rendition. "Warm Sweet Breath of Love" After a concertina introduction, a piano-based boogey ensues. The guitars, from the dual leads to the quickly picked acoustic, are nice. "Fantasia - My Lagan Love" Channeling Carlos Santana in both style and tone here, there is a sprightly piece run by lead guitar, electric piano, and lively drums. "King of Morning, Queen of Day" This is a lively, quasi-medieval styled song. It is electric piano-based with some nice guitar and bass things happening. "Sideways to the Sun" Lovely electric guitar, violin, and harmonics set the listener up for a simple Three Dog Night-like song. "Drive the Cold Winter Away" Acoustic guitar and concertina move swiftly through a cold chord progression. 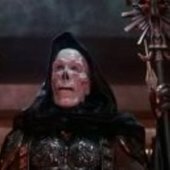 "Ride to Hell" The final track is a disjointed one, with calming acoustic guitar that moves quickly into busy organ, cowbell, and heavy rock music. The chorus is happy, hippy dippy 1960s music. The bass playing and the organ lead are both stellar, as is the violin solo. The ending cadence sounds so much like Echolyn. 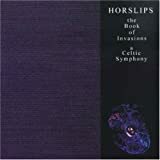 Post a review of HORSLIPS "The Book Of Invasions - A Celtic Symphony"